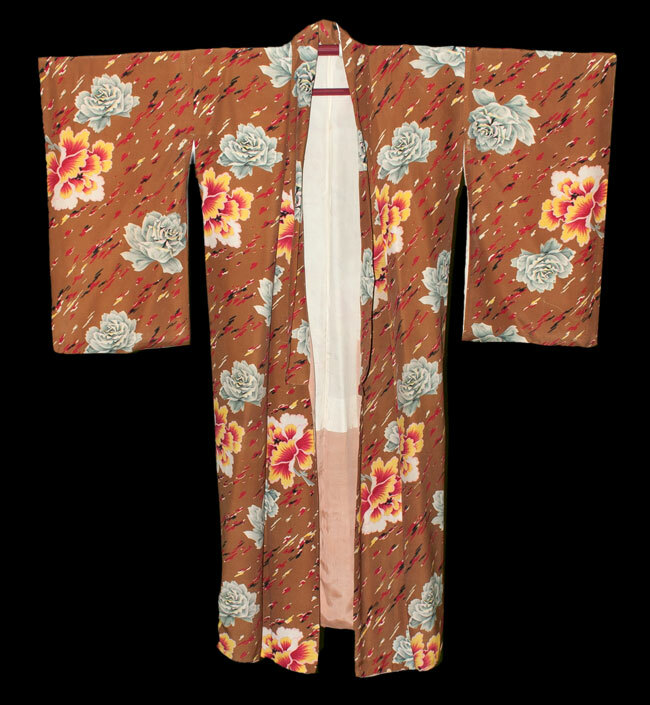 Kimoyes item: 17679 - 1940s-50 light brown rayon kimono. 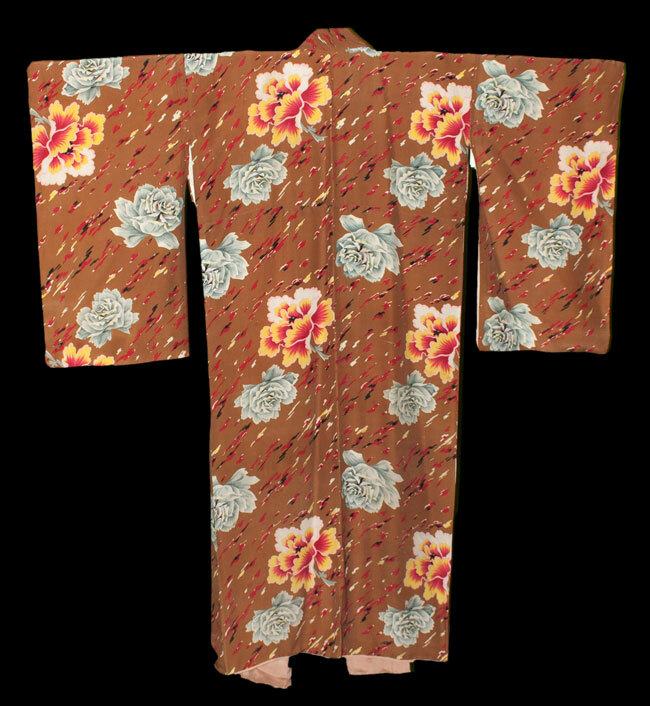 1940s-50 light brown rayon kimono. 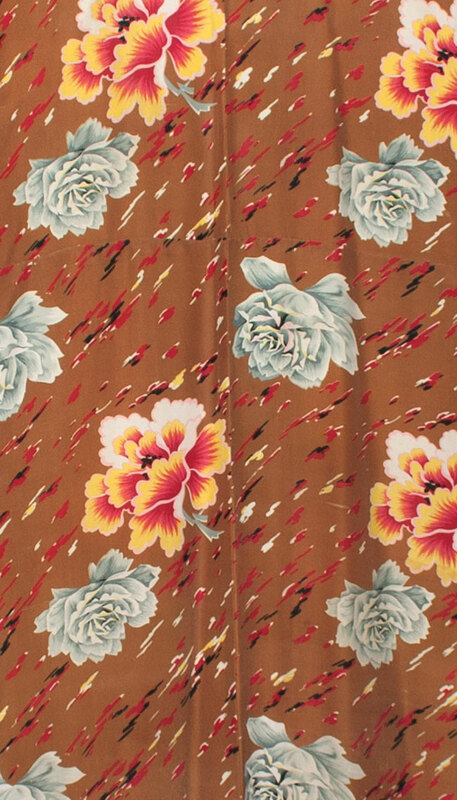 It features a beautiful vintage rose and peony pattern. It measures 54 inches in length and 49 inches from cuff to cuff. 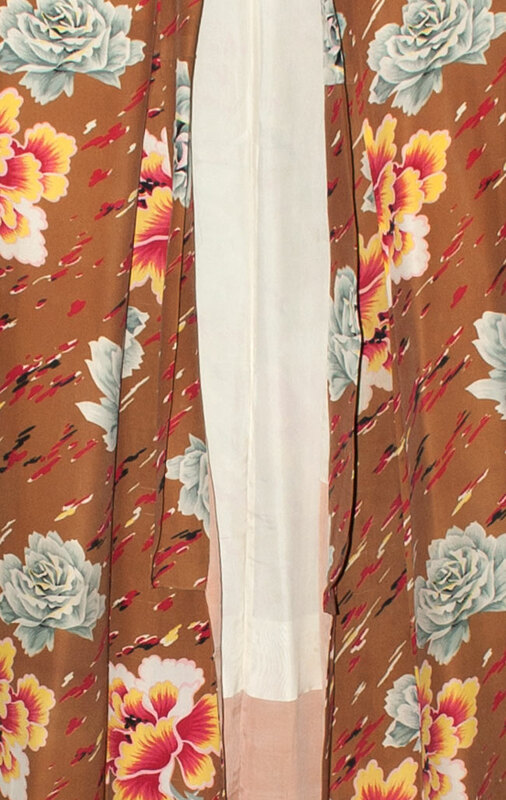 This gorgeous kimono is lined in a soft fine cream silk and would be lovely to wear.